Ok… Day 1: Take a look around you. You’re probably like, ‘oh… I’ve already done that… and the crap is stacked.’ That’s ok, don’t panic. This should only take about 15 minutes, because today is just about observation. Chances are good, that you are going to find yourself wanting to dig in and get to cleaning. However: don’t do it. Today, you are just going to fill out the Reality Check List. It is going to help you paint a picture of what is going to need to happen during this 30 Day Window. Now… let’s stop here. Does the 30 Day Window mean that you have to complete this in 30 consecutive day… the answer is NO. It would be nice. But, if you are like us, you tend to get lazy from time to time… Hence, the need to get serious. Again, don’t panic. Ok… back to the list. This is going to be a simple inventory of what crap needs to change and or be cut. Truth is, the Good Lord has given us more than we deserve, and we have obliged in the taking. Taking the Reality ‘Check’ List seriously is not only a first step in identifying the mess that over consumption has made in your life, but an opportunity to identify where you need to turn around… and ‘come to Jesus’ (as the saying goes). 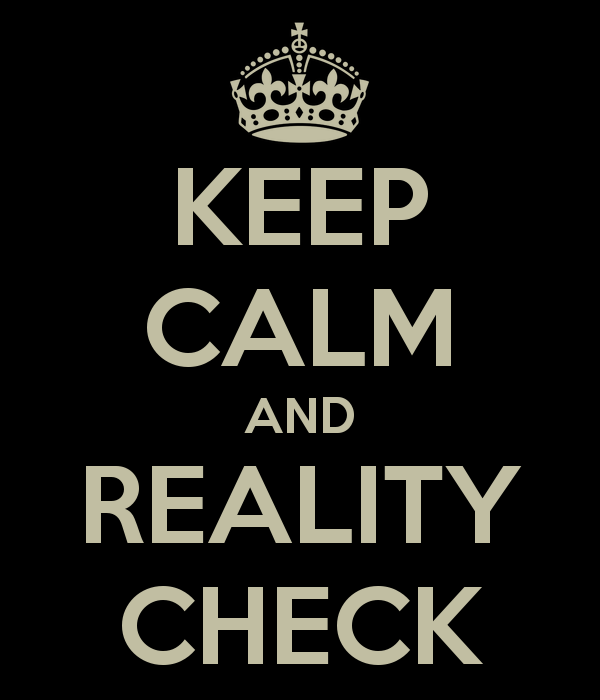 So… take a moment and print of the Reality Check List, and take the inventory.